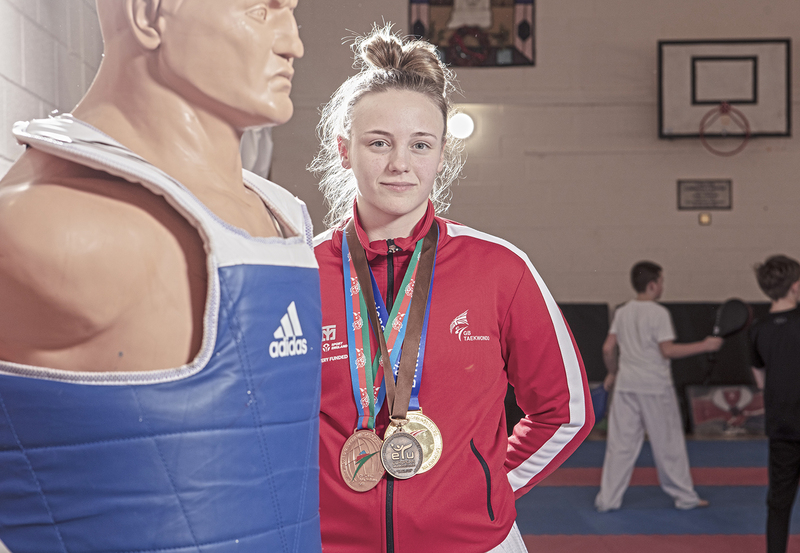 Simone Abley, 18 from Spennymoor, has been taking part in taekwondo since she was four and in March 2019, Simone will be representing East Durham College at the Student National Championships. If successful, Simone will then go on to qualify for the European University Sports Association (EUSA) championships. Simone is in great shape for the championships next year, having won the British National Championships in Taekwondo for the fifth time recently. Simone has won the championship throughout her career at pee-wee cadet, junior and senior levels. Having represented Great Britain since the age of 13, Simone has also won several other awards, including 2014 Commonwealth champion, 2016 GB Junior of the Year and – In October 2018 – won the bronze medal at the Under 21 European championships. At East Durham College, Simone is part of the Level 3 BTEC Peter Jones Enterprise Academy. Set up by the Dragon’s Den star himself, the Academy specialises in preparing young people for a career as an entrepreneur, with a focus on setting up their own business. Simone has fused her passion for Taekwondo and business together to create Salamander Taekwondo, where she teaches, alongside her brother, the next generation of Taekwondo students. As part of her coaching work, Simone has also been awarded the title of Young Coach of the Year, and regularly visits schools across the Durham area to get children involved in Taekwondo.